Five terror suspects have arrived in the US after being extradited from England. Two of the defendants appeared in a Connecticut court just hours after their plane landed. Among the suspects was an extremist Egyptian-born preacher. 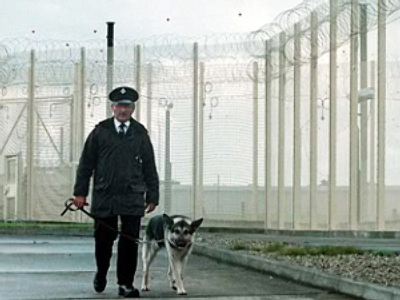 The men were extradited after Britain’s high court ruled for immediate removal, following a decade-long legal battle. The court said the suspects had no grounds for appeal, after they raised concerns about human rights and the conditions they would face in a US prison. 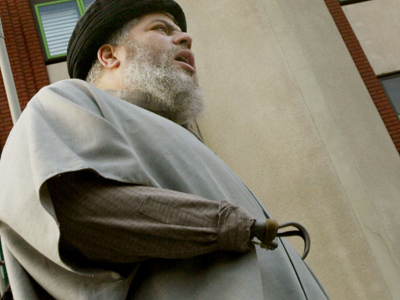 Upon arrival in the US, Abu Hamza al-Masri was detained in lower Manhattan. The preacher faces charges that he conspired to set up a terrorist training camp in Oregon and that he helped abduct 16 hostages – two of them American tourists – in Yemen in 1998. Two other suspects – Syed Talha Ahsan and Babar Ahmad – pleaded not guilty in federal court to charges that they provided terrorists in Afghanistan and Chechnya with cash, recruits, and equipment. Egyptian-born 54-year-old Hamza is the best known out of the five for turning London’s Finsbury Park Mosque into a training ground for radical Islam during 1990s. Some of the attendees included a 9/11 suspect. "I'm delighted on this occasion we've managed to send [Hamza] off to a country where he will face justice," British Prime Minister David Cameron said in a statement. Hamza’s lawyers have argued that his health is too weak for the US prison. Hamza lost an eye and an arm, reportedly fighting the Soviets in Afghanistan in the 1980s. Further, his lawyers stated that he suffers from depression, chronic sleep deprivation, diabetes and other illnesses. However, the judges dismissed his request to delay the extradition to undergo more medical tests, stating that his condition can be treated in the US. 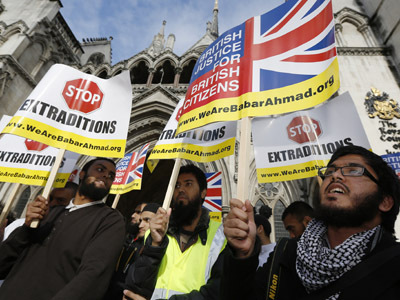 Hamza was first arrested at the request of the US in 2004, but the extradition was halted when UK authorities decided to charge him on allegations relating to hate sermons. 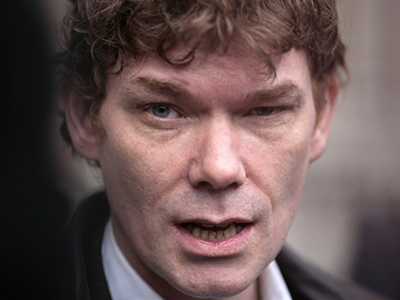 He was convicted and jailed for seven years in February 2006. The case of Babar Ahmad has raised concerns among human rights advocates. The US has accused Ahmad of running terrorist-funded websites. He pled not guilty to federal charges at his hearing in the US District Court in New Haven. Ahmad’s alleged crimes were committed in Britain, but the country has refused to prosecute him due to lack of evidence. The UK agreed, however, to extradite him to the US. It’s a move that’s sparked outrage from lawyers and activists. Ahmad was held in prison from 2004 without charges, which is the longest period for any British citizen since the 9/11 attacks. Ahmed’s statement said that his case has exposed flaws in the UK-US extradition agreement. “I leave with my head high, having won the moral victory,” it read. "It seems that the Metropolitan police, the CPS and even the court have all colluded to implement a predetermined decision which was made in Washington,” the father of Babar Ahmad, Ashfaq Ahmad, told The Guardian. 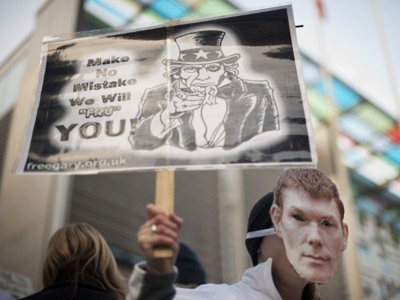 Other critics of the UK-US extradition agreement see it as a one-sided policy of America. Drawn up in the post-9/11 panic, it decrees that Washington can demand anyone's extradition without proof, and London is obliged to obey. Some of the British MPs have publicly criticized the treaty by pointing out that it is not balanced in terms of UK-US partnership. MP and chair of the Home Affairs Select Committee Keith Vaz said last year that it was a “mistake” to even sign the treaty. But despite their criticism, none of the MPs have made any changes to the agreement since the country’s new government was formed.